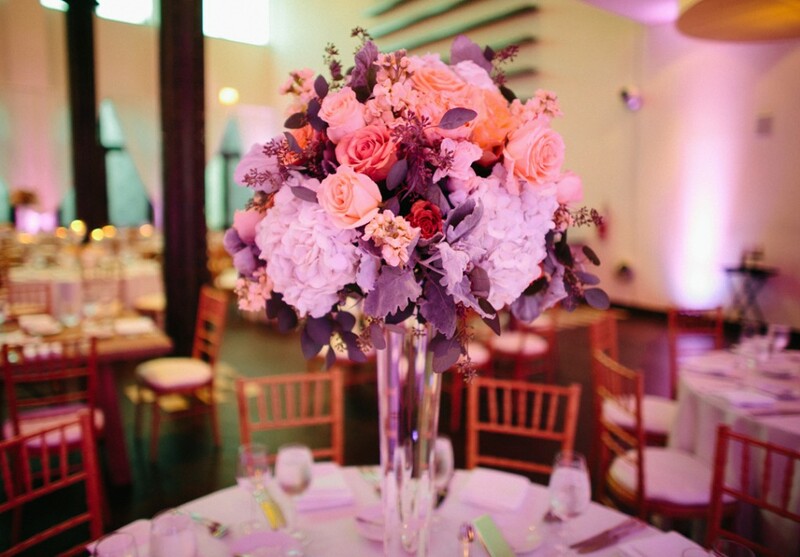 ICA is committed to planning and executing memorable and authentic events. Our designers will collaborate with you to create an event that transforms your vision to reality. What’s new in corporate events? As the year is really starting to roll, we’re finding one major trend in the event industry thus far. 2016 is bringing increasingly savvy clients. With the ever-growing popularity of Pinterest, clients become more and more savvy when it comes to event design (gasp!). It’s no longer solely up to the designer to translate client’s goals and ideas into a design. From location to theme to branding, clients are looking for unique experiences stamped with their vision and design mark. Read on for some insight into these areas and how we work with you to make your vision a reality… Location, location, location: A great event starts with the right space, and clients are choosing to step away from a traditional hotel or museum setting and are seeking out new and unique spaces. 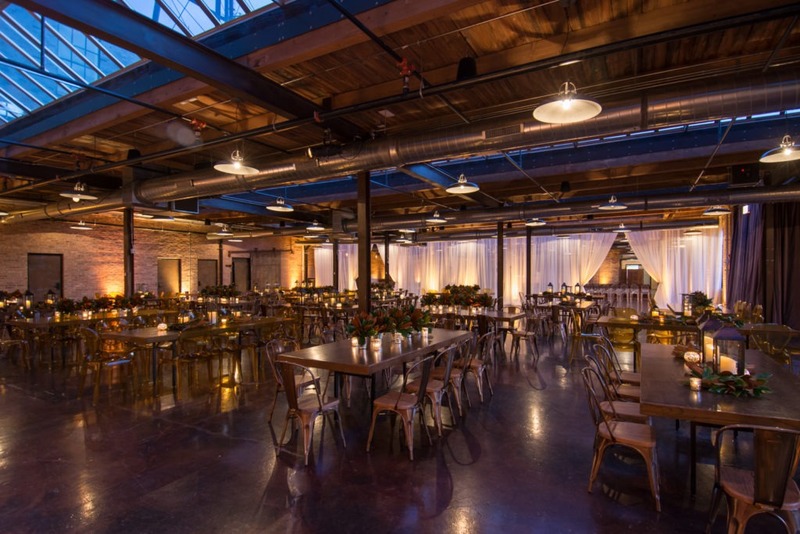 When initiating the design process, we explore whether to complement the venue’s existing architecture and décor, or to transform the space into an entirely different environment. The event space will have a profound impact on how the guests feel, and creating a custom experience is paramount for many clients. Thoughtful design: The most important question we ask ourselves is, “What is the client’s goal for the event?” According to some clients, this point is often overlooked when design comes into play. A unique and creative design is great, but if it ignores the event’s objectives, then what’s the point? While guiding our clients through the creative process, we strive both to listen and to collaborate in order to create a remarkable design that delivers on all fronts. Branding Opportunities: More and more, we are asked to incorporate branding in new and exciting ways. Integrating the client’s brand should go well beyond the logo and corporate colors. Custom messaging can be splashed onto the flooring and walls using decals and customized lighting elements. Furniture, such as cocktail tables, chairs, and specialty bars are transformed into identifiable pieces by featuring corporate identities or event specific graphics. Even placement of a logo or decal at the bottom of the venue pool can be a fun option. The possibilities are endless. Most importantly – we realize that corporate events are all about delivering on what the client wants. We’re here to actively participate and to interpret what our clients want into a tangible, one-of-a-kind design. 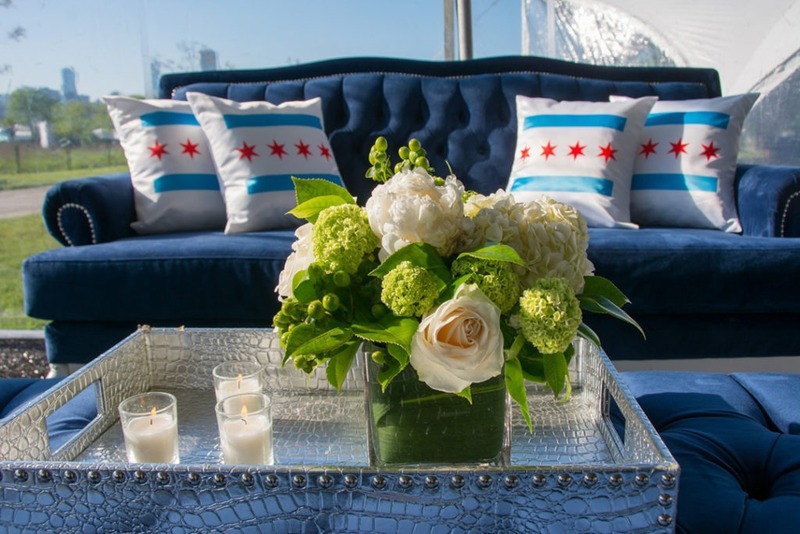 To see more examples of corporate events we’ve done, visit our website, Facebook , and Instagram , or give us a call at 312.829.4616 to chat about how we can transform your next event!